Gargamel gets seduced by Evelyn the evil witch to capture the Smurfs. How many episodes of The Smurfs have you seen? Smurfette, Brainy Smurf, Clockwork Smurf, Miner Smurf, Greedy Smurf, Grouchy Smurf, Jokey Smurf: [in unison] No casting spells on your own. 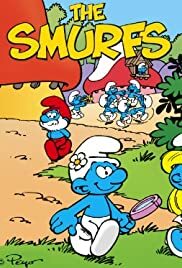 Smurfette, Brainy Smurf, Clockwork Smurf, Miner Smurf, Greedy Smurf, Grouchy Smurf, Jokey Smurf: [in Unison] Don't go into Papa Smurf's lab without permission. 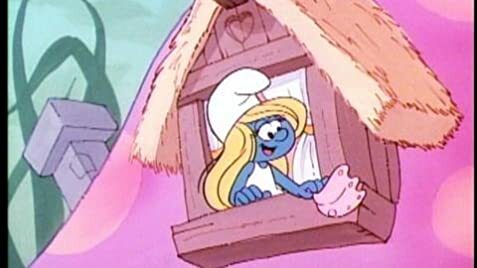 I used to love The Smurfs when I was a kid. They were a true highlight. I've been hearing lots of stuff lately that they were socialists and all the stuff about stereotyping, but I think that's digging in a bit too deep. The show was obviously aimed at kids. What do kids care about such things? I didn't. I thought the Smurfs were cute and the episodes were all good. For some reason, I've never been able to get such episodes as "The Purple Smurfs" and "Forget-Me-Smurf" out of my mind. Those episodes made huge impact on me. I think every kid would be enchanted by these little blue creatures. I loved them.